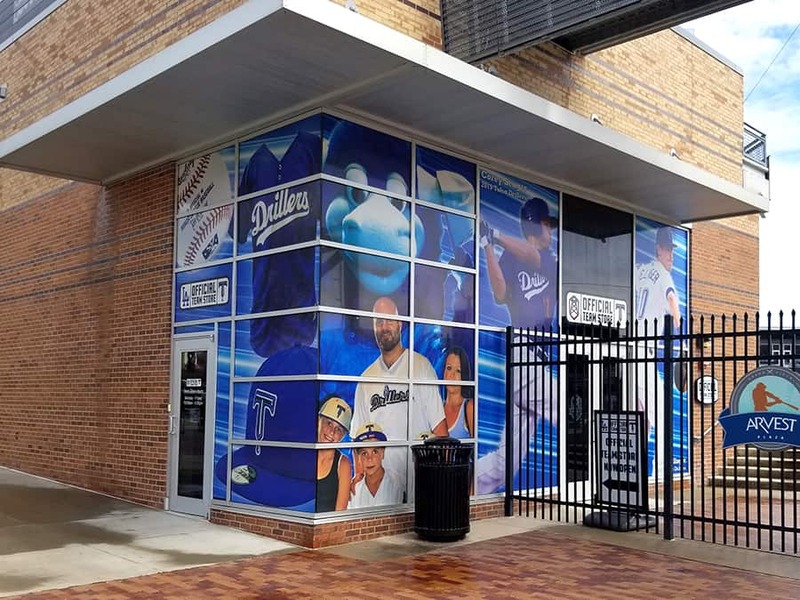 The 2019 Tulsa Drillers Season is underway! 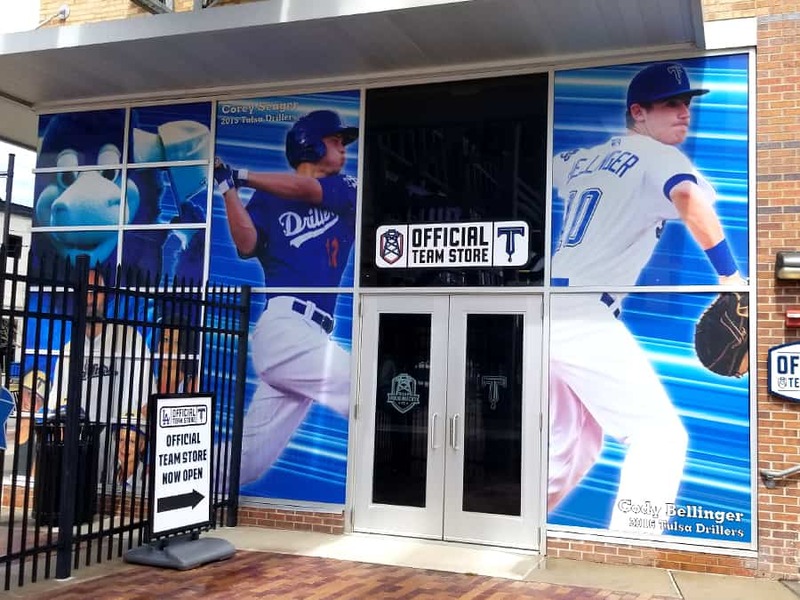 Precision Sign & Design was contracted to use the art their designer created and turn it into this large window display at their Team Store. 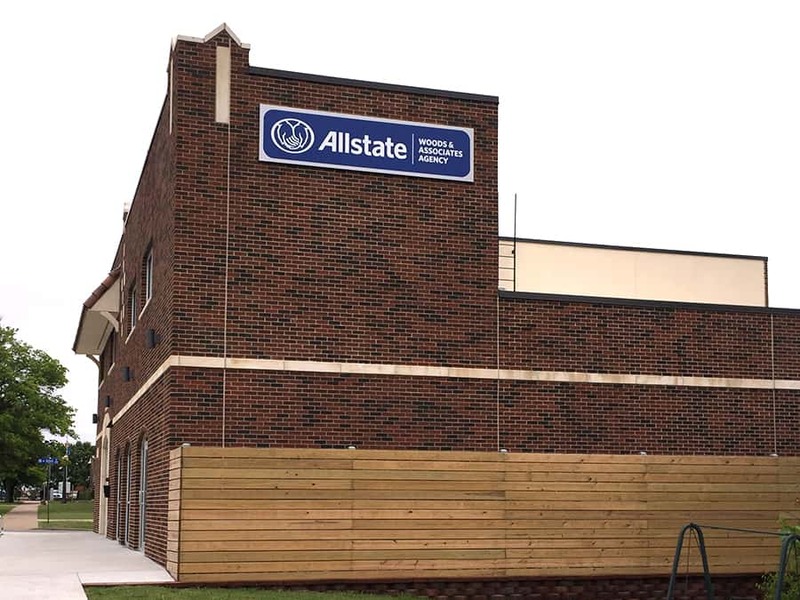 Perforated window graphics are a great way for business to attract attention to their business and cut down on some of the sunlight and heat that comes through them in the summer months. 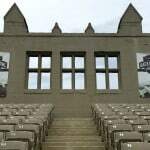 Perforated film doesn’t block all the light and heat but does allow you to still see out from the inside. The backside of the film has a neutral grey adhesive so it looks just like tint from the inside – your vision go right through it! 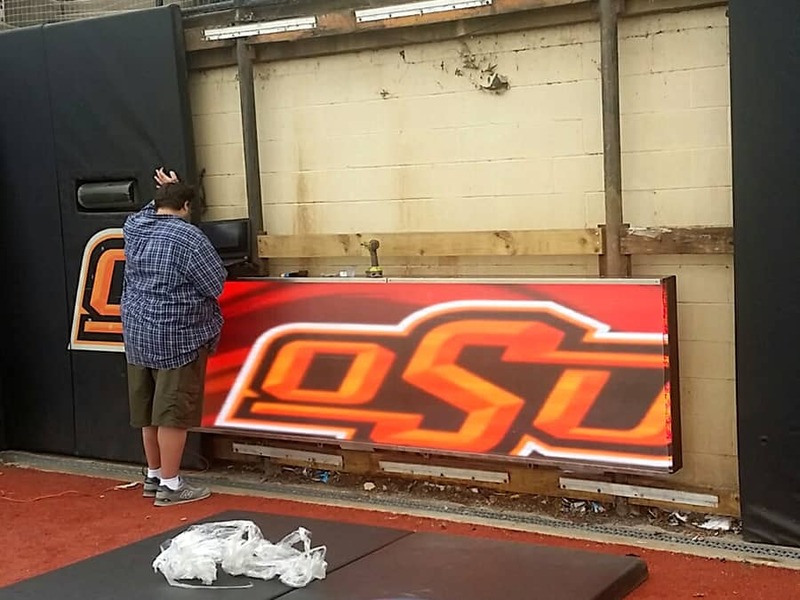 You’ll have to see it for yourself the next time you’re at ONE OK field. 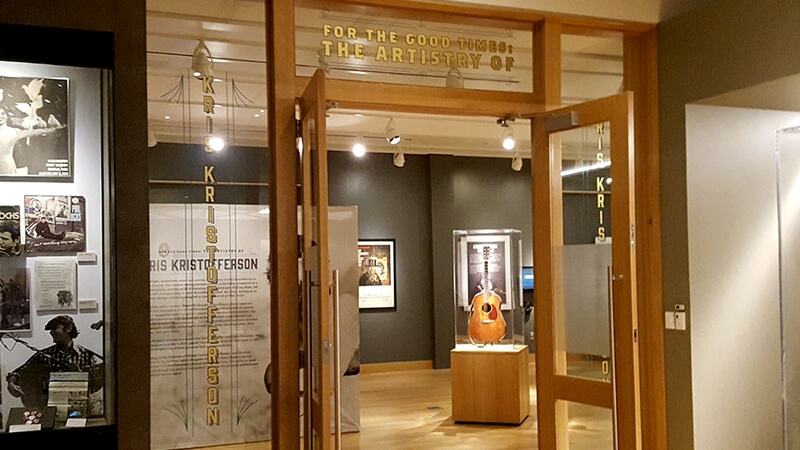 If you’d like to learn more about perforated or solid opaque window graphics, give Precision Sign and Design a call today at 918-430-1102. 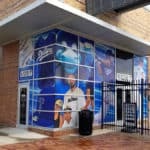 This entry was posted in Latest Projects, Sign Service, Signs & Banners and tagged 2019 Season, Baseball, Clayton Kershaw, Dodgers Tulsa, Drillers Baseball, Tulsa Drillers, Window Graphics, Windows on April 9, 2019 by Steve Ballard. Big time games call for big time banners! 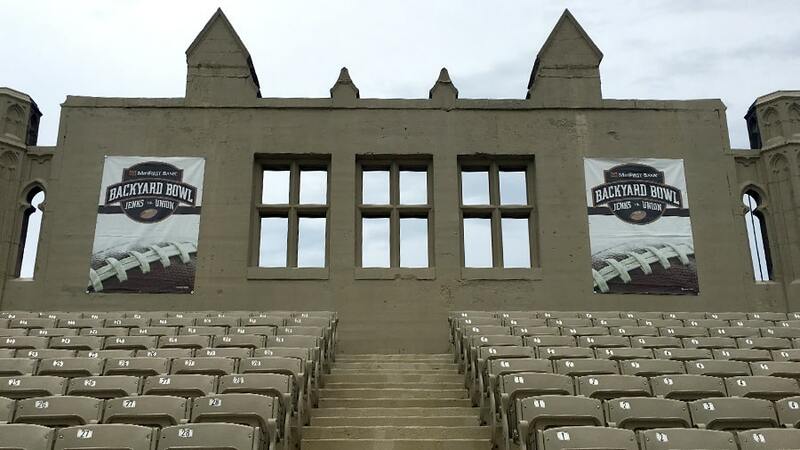 Precision Sign & Design installed several large banners at the TU football stadium for the big game this year. 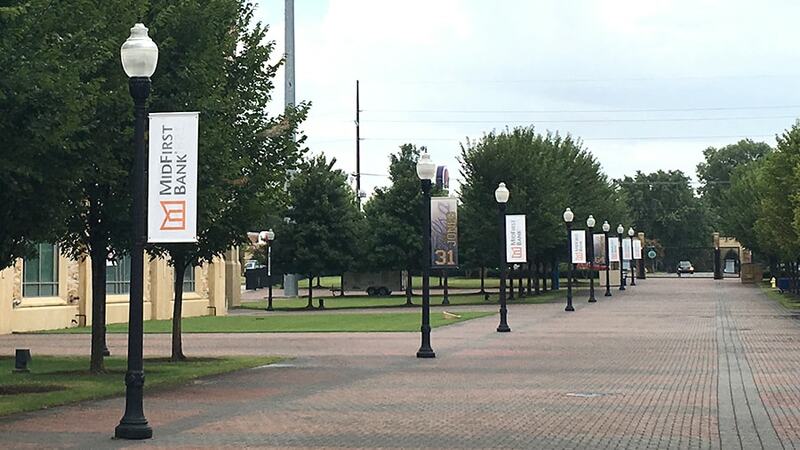 Because they were playing at TU’s stadium, banners had to be installed the day of the game and removed first thing the next morning. 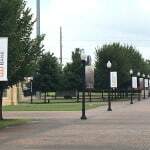 This included all the pole banners that line the roads on campus. We were up to the challenge and had all the banners up for the game and taken down by 11 am the following morning. 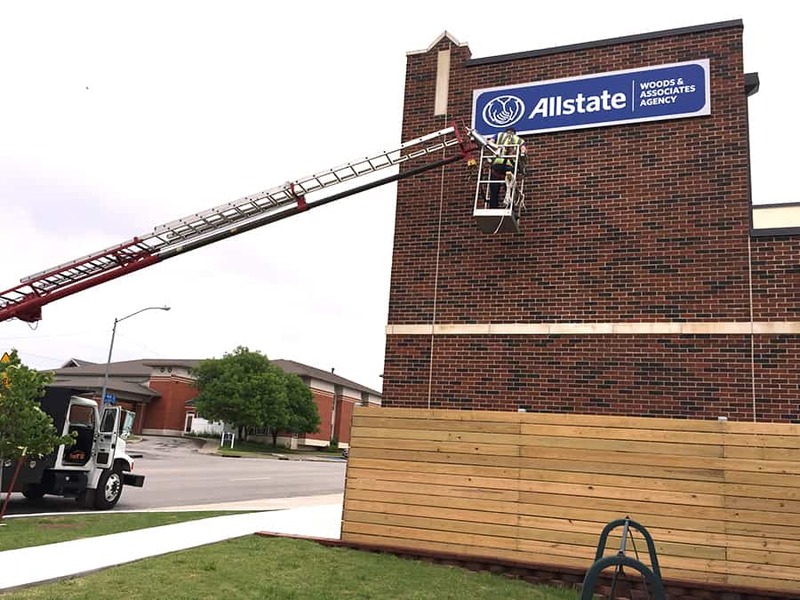 If you have a banner installation project that may require tight deadlines or after hours work, give Precision Sign & Design a call today at 918-430-1102. This entry was posted in Sign Service, Signs & Banners and tagged Large Banners, Wall Murals, Wall Sign on November 23, 2016 by precision_sign. These interior window graphics were done with three color cut vinyl – black, turquoise, and simulated Florentine gold vinyl. 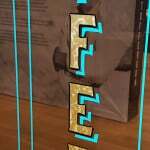 Throughout the exhibit, turquoise is used to as an accent color for the display signage. This design motif is repeated in the pinstripes that frame in the gold and black lettering. 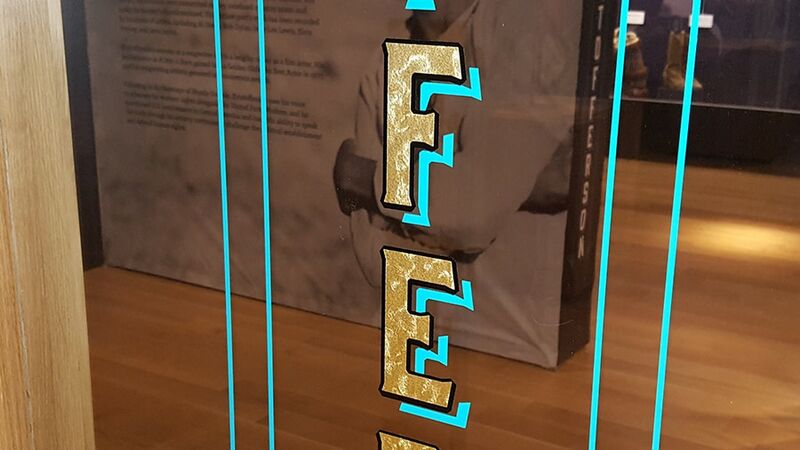 Gold lettering on its own would lack contrast with the clear windows so they are outlined in black vinyl. 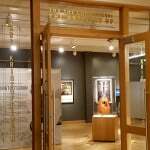 There is actual 22 karat to 24 karat gold vinyl available that is often used on fire trucks. However, real gold is rather expensive as you can imagine and the 10-12 year life expectancy would be overkill for this application. To save on costs but still have the same look, we went with a simulated gold vinyl. It is a metallized vinyl film that looks nearly identical to the real thing. 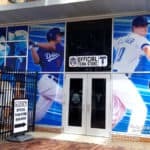 To find out more about interior or exterior window graphics, give Precision Sign & Design a call today at 918-430-1102. This entry was posted in Sign Service, Signs & Banners, Store Front, Wall Logo & Graphics and tagged color cut vinyl, Cut Lettering, Cut Vinyl, display signage, Window Graphics on November 4, 2016 by precision_sign. 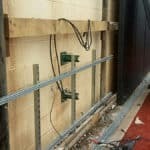 Precision handles local installations for a number of national clients. 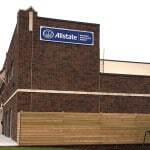 This non illuminated sign was installed for Allstate at their new Broken Arrow location. 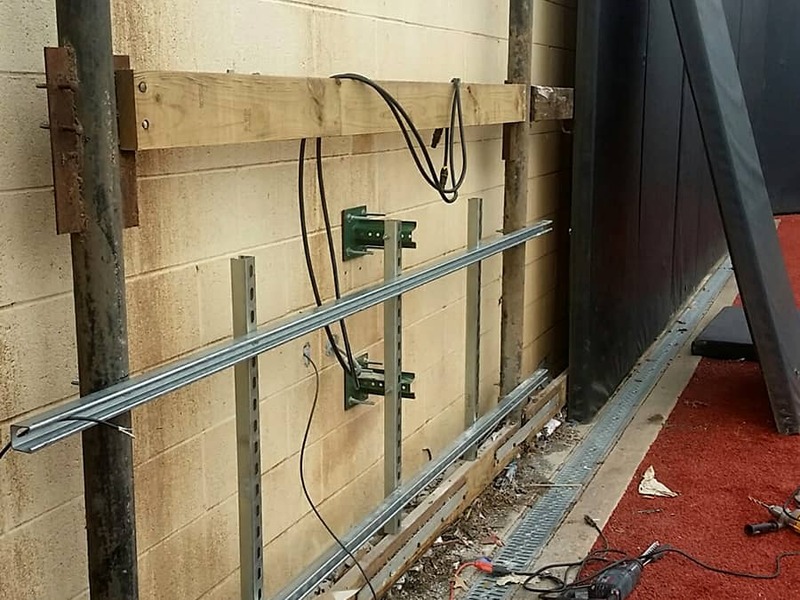 Even if we didn’t make your sign, we can install it for you. 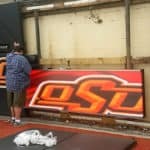 Give us a call today at 918-430-1102 to get a quote on your sign installation. 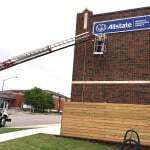 This entry was posted in Post & Panel Signs, Sign Service and tagged Advertising Outdoor Sign, Allstate, Logo, outdoor advertising, Sign, Sign Installation, Sign Installation Tulsa, Signs Tulsa, Wall Sign on July 21, 2016 by precision_sign.